James Joseph Parsons, popularly known by the name Jim Parsons is an American actor. He is best known for his role as Sheldon Cooper in the CBS sitcom, The Big Bang Theory. He has won numerous awards for his role in The Big Bang Theory. The Big Bang Theory is in its final (12th) season. Forbes named him the highest-paid TV actor in 2018, where he earned $26.5 million. He is the narrator of The Big Bang Theory prequel series, Young Sheldon. He has appeared in numerous films and television series. He made his Broadway debut in 2011. He has over 6.8 million followers on his Instagram. As one of the most popular sitcom, The Big Bang Theory is coming to an end this year after 12 seasons, everyone is excited to see how the story of their favorite characters from the sitcom ends. Among others, Jim Parsons, who is one of the main cast of the sitcom as Sheldon Cooper is a physicist with social apathy who frequently belittles his friends. Over the course of 11 seasons, Sheldon Cooper has a sole desire to win a Nobel Prize. With only seven episodes of the sitcom remaining, Sheldon and his wife Amy are looking forward to winning the Nobel Prize in Physics nomination for their work on Super Asymmetry. Will Sheldon and Amy will end The Big Bang Theory winning the Nobel Prize? We still have a few more episodes left to watch. The final episode of the final season of The Big Bang Theory won't be using a live audience. Kaley Cuoco, who stars in the sitcom as Penny, wife of Leonard, admitted that there won't be a live audience to try and avoid the emotions knowing that it will be their last The Big Bang Theory episode ever. His role as Sheldon Cooper in the CBS sitcom, The Big Bang Theory. 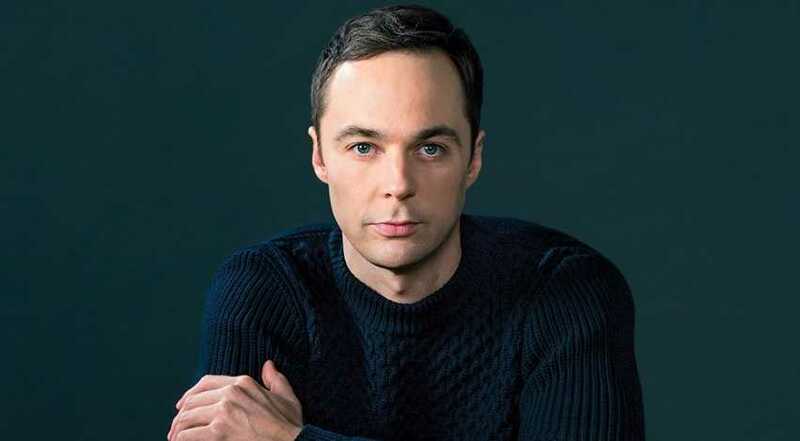 Jim Parsons was born on 24 March 1973. His birth name is James Joseph Parsons. He was born to a father, Milton Joseph Parsons, Jr., and a mother, Judy Ann. He belongs to White ethnicity. He is of French descent on his paternal side. His birthplace is in St. Joseph Hospital in Houston, Texas in the United States. He holds American nationality. His zodiac sign is Aries. He has one sister, Julie Ann Parsons. He grew up in one of its northern suburbs in Springs. He attended Klein Oak High School in Spring. He later enrolled at the University of Houston, where he graduated with a Bachelor's degree. He played the role of Kola-Kola bird in a school production of The Elephant's Child at the age of six. After that, he was determined to become an actor. He appeared in 17 plays during his 3 years at the University of Houston. He was a founding member of Infernal Bridegroom Productions and regularly appeared at the Stage Repertory Theatre. He then enrolled at the University of San Diego as one of the seven students accepted into a special two-year course in classical theatre. He graduated from San Diego in 2001. He then moved to New York to pursue his acting career. He has appeared in numerous plays by Infernal Bridegroom Productions. After moving to New York, he worked in numerous Off-Broadway productions. He made his Broadway debut portraying Tommy Boatwright in the play The Normal Heart in 2011. He later appeared in Broadway productions, Harvey and An Act of God. He has appeared in numerous plays in his career. Parsons has estimated that he auditioned for between 15 and 30 television pilots. He was cast on many occasions but the show failed to find a television network. He made his television debut in the role of Chet in an episode of an NBC American television program, Ed in 2002. He then appeared in 7 episodes as Rob Holbrook between 2004 and 2005. He landed one of the main roles as Sheldon Cooper in an American television sitcom, The Big Bang Theory in 2007. His audition for the role impressed series creator Chuck Lorre. Chuck insisted on a second audition to see if Parsons could replicate the performance. Sheldon Cooper became the breakthrough role of his career. The Big Bang Theory has become one of the most popular sitcoms in the television industry. Jim Parson won numerous awards and nominations for his role as Sheldon Cooper. In August 2018, Jim Parson announced his refusal of a contract worth $50 million for season 13 and 14. Thus, The Big Bang Theory will end after 12 seasons. He has also been a narrator and executive producer of The Big Bang Theory prequel, Young Sheldon since 2017, where he narrates the younger version of Sheldon Cooper. He has appeared in other television series such as iCarly and Who Do You Think You Are?. He had voice roles in numerous television series including Family Guy, Glenn Martin, DDS, The Super Hero Squad Show, Pound Puppies, Eureka, The High Fructose Adventures of Annoying Orange, Kick Buttowski: Suburban Daredevil, Elf: Buddy's Musical Christmas, SuperMansion, and Michael Jackson's Halloween. He reprised the role of Tommy Boatwright in the Television film version of The Normal Heart. He hosted his own SiriusXM talk show, Jim Parsons Is Too Stupid for Politics for six weeks in 2017. He was one of the voice actors in the 2018 audiobook A Day in the Life of Marlon Bundo. He made his film debut in Happy End in 2003. Since then, he has appeared in numerous films such as Garden State, Heights, The Great New Wonderful, 10 Items or Less, School for Scoundrels, On the Road with Judas, Gardener of Eden, The Big Year, Sunset Stories, Wish I Was Here, Visions, and Hidden Figures. He made a cameo appearance in the 2011 musical comedy film, The Muppets. He had voice roles in 2015 American 3D animated science fiction comedy film, Home. He produced and also starred in 2018 American drama film, A Kid Like Jake. His upcoming film is Extremely Wicked, Shockingly Evil and Vile, scheduled to release in 2019. He received a star on the Hollywood Walk of Fame on 11 March 2015. 2009 TCA Awards - Individual Achievement in Comedy for The Big Bang Theory. 2010 Online Film & Television Association - Best Actor in a Comedy Series and Primetime Emmy Awards - Outstanding Lead Actor in a Comedy Series for The Big Bang Theory. Critics' Choice Television Award, Golden Globe Award, Primetime Emmy Award, Online Film & Television Association Award - Best Actor in 2011 for The Big Bang Theory. 2012 Online Film * Television Association - Best Actor for The Big Bang Theory. 2013 TV Guide Award, Teen Choice Awards, and Primetime Emmy Awards for The Big Bang Theory. 2014 Critics Choice Television Awards, Online Film & Television Association Award, Primetime Emmy Awards for The Big Bang Theory. 2016 People's Choice Award, Kids' Choice Award, and Satellite Award for The Big Bang Theory. 2017 Screen Actors Guild Award - Outstanding Performance by a Cast in a Motion Picture for Hidden Figures. 2017 People's Choice Award - Favorite TV Comedic Actor for The Big Bang Theory. 2018 GLAAD Media - Stephen F. Kolzak Award. 2019 Critics' Choice Award for The Big Bang Theory. Who is Jim Parsons Married to? Jim Parson's sexual orientation is gay. The New York Times revealed in 2012 that he was gay. It also revealed that he had been in a relationship with art director Todd Spiewak for around 10 years. He is Married to art director Todd Spiewak. They got married in May 2017 in New York. He currently lives in Los Angeles, California. He also has a residence in Los Angeles. What are Jim Parsons' Body Measurements? Jim Parsons stands at a height of 1.86 m i.e. 6 feet and 1 and a half inches tall. He has a body weight of 161 lbs i.e. 73 kg. He has a slim body build. He has a chest size of 38 inches, biceps size of 13 inches, and a waist size of 32 inches. He has blue eyes and his hair color is dark brown. What is Jim Parsons' Net Worth? 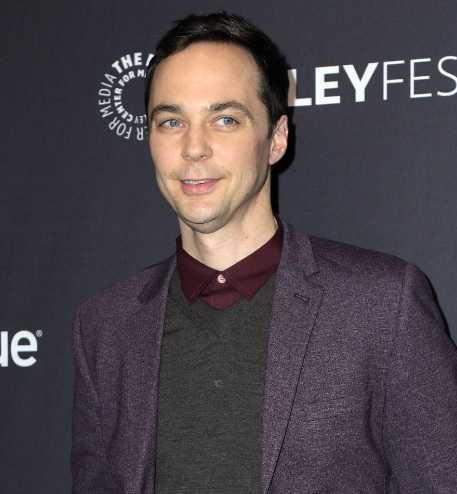 Jim Parsons became the highest-paid TV actor in 2018 earning $26.5 million. He earned $200,000 per episode for the 4th season of The Big Bang Theory along with co-stars Johnny Galecki and Kaley Cuoco. They were also promised a percentage of the show's earnings. Parsons, Galecki, and Cuoco earned $325,000 per episode from August 2013. They earned $1 million per episode since the eighth season of The Big Bang Theory. However, Parsons announced his refusal of a contract worth $50 million for season 13 and 14. Thus, the show will end after 12 seasons. He appeared in Quiznos commercials in 2003. He has endorsed other brands such as Nissa Micra, Intel Corporation, Stride Gum, DiGiorno Frozen Pizza, FedEx, Ford Fusion, among others. Working as an actor is his major source of income. As of 2019, his net worth is estimated at $80 million. French architect Louis-Francois Trouard was one of his ancestors from his father's side. His father died in a car accident in April 2001. He hosted an episode of Saturday Night Live in 2014. He supported Democratic candidate Hillary Clinton for the 2016 United States presidential election.